Faith Transition (Bullet Point Version)? I have been spending some time making a list of significant things in my past that have contributed to my faith crisis transition. These are in no particular order of importance. I don’t want to comment on any of these in particular, but I did want to keep a list of moments, memories, events, ideas etc., that feel important. They also make perfect topics for future blog posts. It’s interesting to see how the majority of thee are centered around my early to mid 20s. Watching monks share the Bhaghavad-Gita in the train station and being afraid of the pictures because mom told me that they were devils. Asking God for a sign that I would find my lost kitten, and getting an answer. Feeling peace so profoundly that I hated to go home on Sundays after church service. Trusting in the sign of the cross—a gesture made by my mom—before falling asleep, that without it I felt scared. Performing baptisms for the dead at the LA Temple and feeling that I was morally “clean” each time. Having a general feeling that the most boring topic in church was Jesus’ Atonement. Reading The Mormon Murders and feeling my testimony of the Mormon church shake more by that book than by reading Anton LaVey’s Satanic Bible. Not knowing how to answer the question “How difficult does it have to be?” by an evangelical preacher asking me why I believed that salvation was something that I had to work hard to earn. Feeling uneasy after going through the temple ceremony for the first time. Trying desperately to receive a confirmation that the Book of Mormon was everything I was taught it was. Lying to Ralph about receiving a confirmation about the Book of Mormon. Deciding to go on a Mission and driving to Bishop Cabrera’s home at 1:00 a.m. to have my worthiness interview and get the process started. Lying about my testimony and “spiritual experiences” to people I met on my mission. Realizing that other denominations were NOT abominations nor ALL of their professors/preachers corrupt. Realizing that the doctrine of the Atonement was the most beautiful idea in all of Christianity. Pastor Walter Knight challenging me to list a single evidence for the Book of Mormon, and not being able to. Reading W. Kleon Skousen’s A Personal Search for the Meaning of the Atonement, and feeling that I had been in a state of slumber all of my life until then. The absolute feeling of certainty that God would answer if I called during the most difficult times as a Branch President and missionary. Feeling anxiety after reading Ed Decker’s The God Makers. The loneliness of returning home from serving a mission. Being disappointed at the shallowness of my childhood friends’ conversion compared to my wife and her friends. Believing that I was disgusting, unclean, and unworthy to associate with God because of masturbation, and the deep shame and sorrow that followed. I remember bargaining with God, to help me stop sinning. The feeling of safety and refuge like never before the morning I decided that the views that I had learned in regards to masturbation were wrong. I was NOT disgusting. Walking out of the theatre after watching the movie Milk and being overcome with the feeling that I was a bigot. 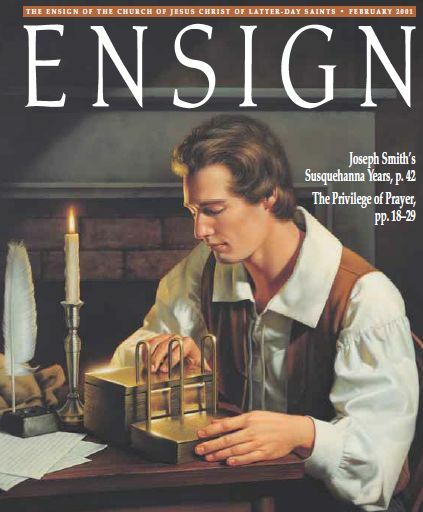 Coming to the conclusion that the images of Joseph Smith translating the Book of Mormon as are presented by the LDS Church were a type of dishonesty. Turmoil over marrying my wife. The peaceful feeling I had when I decided to marry my wife. Being called to serve in the Bishopric. Reaching the apex of a lifetime of dishonesty. Facing all of my lies. Looking for traces of God in my past and not finding any. Finding evidence of God in my past in a most insignificant experience.